GtoImmuPdb contains data detailing immunological processes and their associations to GtoPdb targets. The list of categories you see here are top-level immunological process categories defined by GtoImmuPdb against which targets in the database have been annotated. As well as direct annotation, GtoImmuPdb also uses terms from the Gene Ontology (GO) and annotation data from UniProt to help classify targets to each category. Click on a category to see all targets associated with it, or select 'View immuno processes home page' to see a summary of each category. Full documentation can be found in the GtoImmuPdb immuno process data documentation (PDF). GtoImmuPdb contains data detailing immunological cell types and their associations to GtoPdb targets. The list of categories you see here are top-level immunological cell type categories defined by GtoImmuPdb against which targets in the database can be annotated. The Cell Ontology provides a formalised vocabulary against which we annotated target to cell type associations. Click on a category to see all targets associated with it, or select 'View immuno cell types home page' to see a summary of each category. Full documentation can be found in this GtoImmuPdb immuno cell type data documentation (PDF). Select a target class to browse all the target families for that class. From there you can navigate to individual family pages and find detailed information about individual targets and their interactions. More details on viewing target data can be found in the GtoImmuPdb help. There is also more general info in the main GtoPdb help pages. Select a ligand category to view ligands under that category. From there users can navigate to individual ligand summary pages for more detailed information. More details on viewing ligand data can be found in the GtoImmuPdb help. There is also more general info in the main GtoPdb help pages. 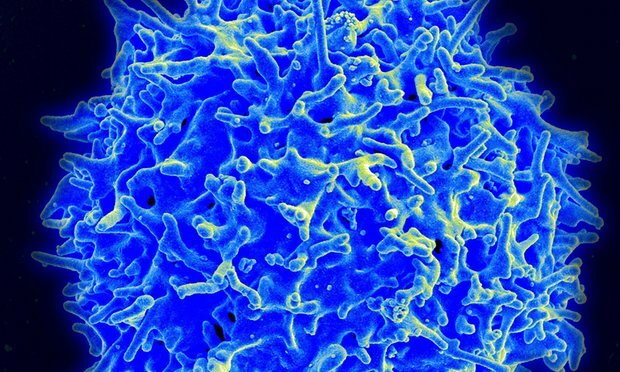 Links to a full list of all diseases with curated data relating to targets and liagnds of immunological relevance. From the list, users can link to details disease summary pages for more information. More details on viewing disease data can be found in the GtoImmuPdb help. There is also more general info in the main GtoPdb help pages. Immunopaedia promotes education, knowledge and research in immunology globally. We are establishing valuable links between GtoImmuPdb and Immunopaedia. Sorry, this content is unavailable until you click to accept cookies from this site.